Okay, so it’s not really pesto, but it looks like pesto, and sneaks in greens. If you love pasta with pesto, but are trying to make better choices, you should give this dish a shot. 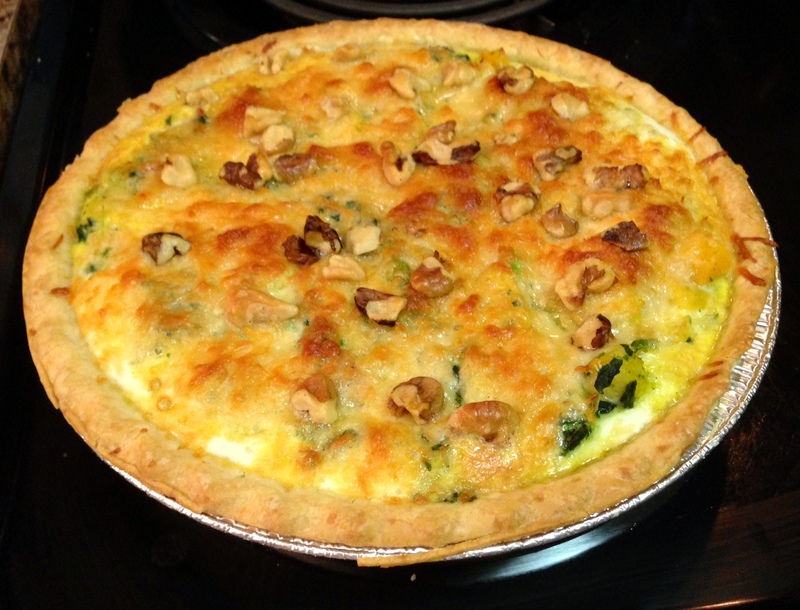 It is very kid-friendly, very easy, and very healthy. Looking like pesto came about as an accident. My day ran long, and I was feeling lazy, so rather than chop my broccoli and mushrooms, I threw them in the processor to pulse. In my distracted state (hangry 18-month old hanging from my leg), I over-pulsed. My husband didn’t even know we weren’t eating pesto until I told him. If I had called it broccoli sauce, it wouldn’t have seemed nearly as appealing. I’ll admit my measurements are guesses in this one. I’m more of an eye-baller, plus I recognize everyone’s tastes are different. Maybe you like more garlic or less mushrooms. Just adjust to your own tastes. You don’t have to use shrimp, it just happened to be what I was in the mood for. You could use any meat, or no meat. However you go about it, I hope you enjoy it! What I loved about our pasta wasn’t so much that it was gluten-free as that it had quinoa, corn and rice flour, so the protein-carbohydrate ratio was really balanced. Pulse rinsed broccoli and mushrooms in the processor. Cook with next 3 ingredients for 10 minutes. Add half of olive oil and add shrimp. Cook for 5-10 minutes, or until cooked through. Toss cooked pasta with remaining oil. 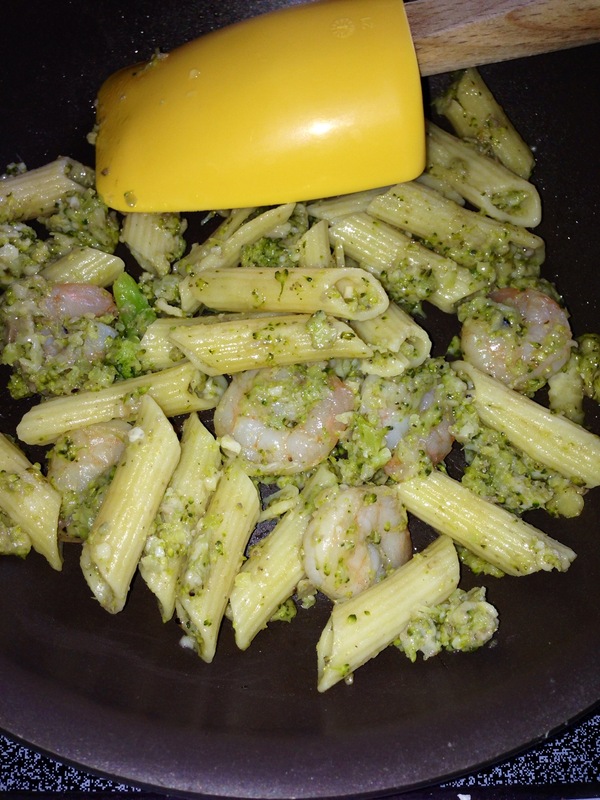 Salt & pepper pasta, then add broccoli-shrimp mixture and parmesan. Toss together and serve.